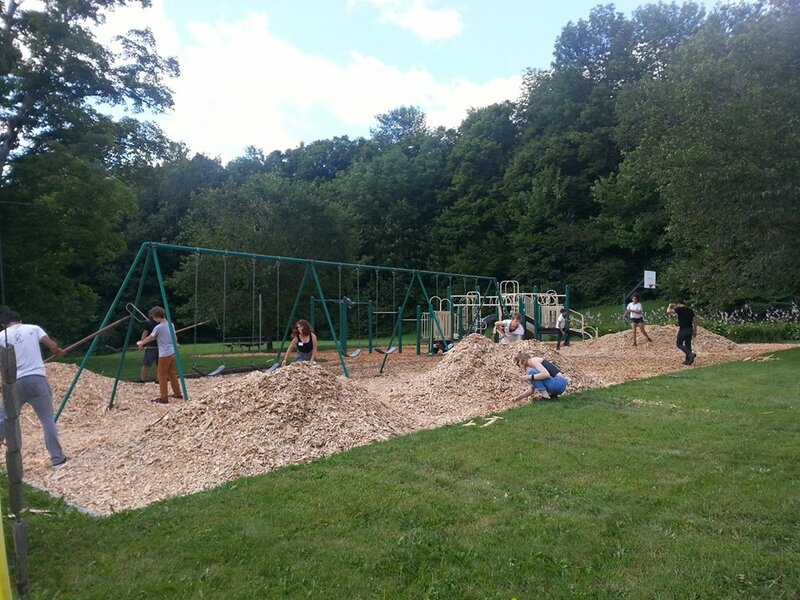 Ten campers from Farm and Wilderness Tamarack Farm teen camp recently helped to spruce up the Plymouth School Community Playground by spreading truckloads of new mulch. 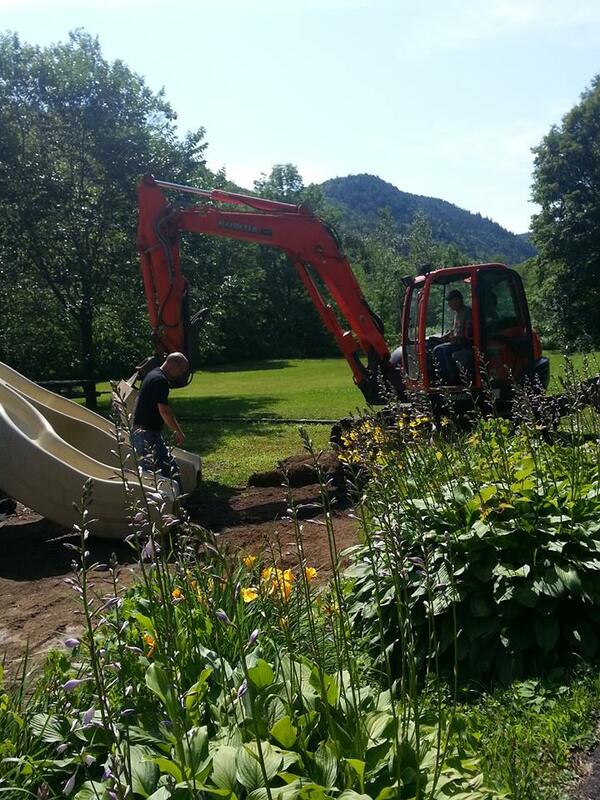 Larry Lynds and the Plymouth road crew assisted by removing the old mulch and regrading. 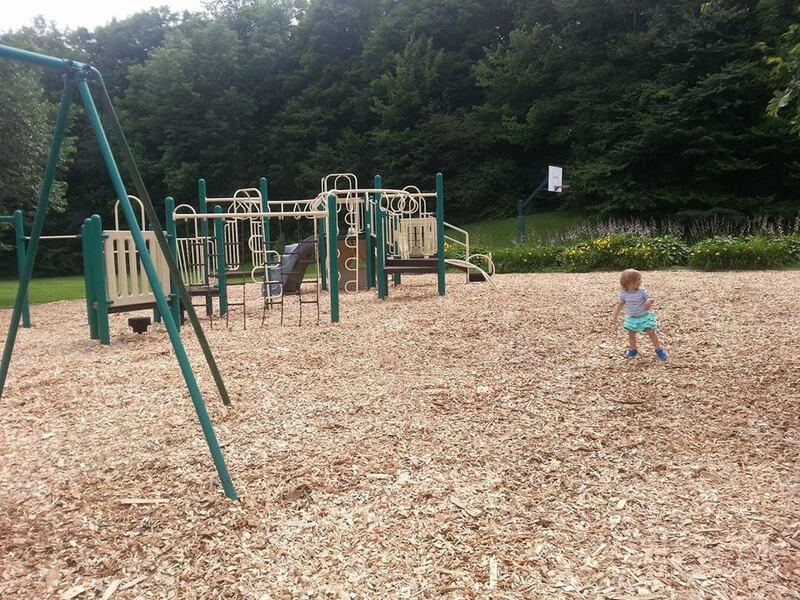 Thanks to Russ Tonkin for his coordinating efforts for the Selectboard, and to Activity Coordinator Terry Bascom and Schoolhouse Committee member Jen Flaster for their input on the project’s conception and design. In speaking with Art Lynds recently, he said that he is awaiting the arrival of a new truck that will assist with curb-side recycling in town. He is hopeful that it will be in place soon and then he is planning to hold a town-wide meeting to discuss the new State regulations and their implementation. That will probably take place some Saturday in September. Belated Happy Birthday to Sandie Small whose birthday was 8/11. Also, please note the passing of Jean Hoskinson on 8/4 after a long battle with cancer. The Tyson Ladies Aid Bazaar was wonderfully attended and many thanks go out for all of those who helped, gave donations and came out to support the event. TLA provides scholarships to our high schools in Woodstock and Ludlow; supports the Tyson Library; and provides funding for numerous community needs. Their help with the Reach Out Luncheon is invaluable. The Reach Out Luncheon will be held at Steve Heilner’s at 2146 Dublin Road on 8/20. It will be our summer BBQ and also provide an opportunity to see his two donkeys – Moses & Noah. It is a lovely setting with open fields and a pond. We will meet at the church at 11:00 and caravan up there. This entry was posted in Community News and tagged Margo Marrone, Reach Out Luncheon, Tyson Ladies Aid. Bookmark the permalink.